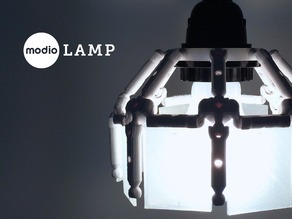 A very nicely designed lampshade, easy to print and put together. We printed this on the CEL Robox at 200 microns. The white parts are printed in ABS and the orange parts are printed in PLA.